We invite you to join us for an in-depth vacuum seminar we will be presenting at Columbia on April 30th. The seminar will cover:Vacuum Pumping Technologies: Unique Features and Specifications, presented by Dr. Anthony Taylor of EdwardsInstrumentation Technologies: Selecting Gauge Based on Application requirements, presented by David Steele of Edwards. The combination of genetics, photonics, electronics and micromechanics is producing completely new micro- and nano-technological approaches for compact and effective tools for diagnostics and therapeutics, which can be disposable, wearable, implantable or tattooable. These new approaches are opening the way to closed loop theranostics, i.e. device integrating diagnostic capabilities and therapeutic response. In this context, the center for biomolecular nanotecnologies (CBN) is exploiting nanophotonic, nanoelectronic and micromechanical technological approaches to produce innovative in-vivo implantable/wearable devices and invitro assays. Recent results on implantable probes and optrodes for optogenetics, on piezoelectric microelectromechanical systems (MEMS) for wearable sensing and for energy harvesting from the human body will be presented and discussed. 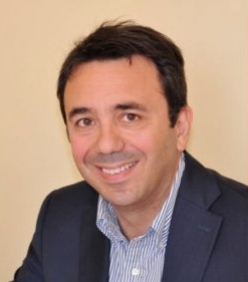 Massimo De Vittorio is Director of the Center for Biomolecular Nanotechnologies of the Istituto Italiano di Tecnologia in Lecce (Italy) and full professor at Università del Salento. His research deals with the development of science and technology applied to nanophotonics, nanoelectronics and micro electromechanical systems for applications in the fields of ICT, life-science and energy. Author of about 220 manuscripts on international journals, 60 proceedings of international conferences, 14 patents, 9 book chapters and more than 60 invited/keynote talks to international conferences, he is also senior editor of the Journal IEEE Transactions on Nanotechnology, member of the steering committee of the micro and nanoengineering society (MNE), member of the editorial board of the Journal Microelectronic Engineering (Elsevier), member of the IEEE EDS Nanotechnology committee. Hammill Innovation Award, NSF NeuroNex Innovation Award, and a DARPA Young Faculty Award. Molecule-based metal-organic magnets offer several key advantages over their inorganic counterparts, such as chemical control and tunability of structure and function, solution-based synthesis and processability, and low density. These compounds may find use in applications including spin-based information storage and processing, the development of lightweight permanent magnets, and the magnetic separation of gases. All of these applications would benefit from a higher operational temperature, which is directly correlated to the strength of magnetic interactions within the compound. This presentation will describe our efforts to synthesize metal semiquinoid molecules and extended solids that feature strong magnetic exchange coupling between metal and ligand radicals. More specifically, it will present the synthesis and properties of new radical-bridged compounds comprising dinuclear molecular complexes, one-dimensional chain compounds, and two-dimensional layered materials. In addition to magnetic properties, electronic conductivity and optical properties of these compounds will be presented. In nanostructured materials, the short length and time scales over which energy moves can present transport behavior that deviates from classical constitutive laws. Using a combination of ultrafast spectroscopy, time-resolved optical microscopy, and kinetic Monte Carlo simulation, I will show how these effects manifest in assemblies of colloidal quantum dots (QD) and atomically thin 2D semiconductors, which are promising components of next-generation photovoltaic and lighting technologies. In particular, we will explore the effect of structural and energetic disorder, the role of nanocrystal surface chemistry, and the self-organization of these nanomaterials into ordered superstructures. Will Tisdale joined the Department of Chemical Engineering at MIT in 2012, where he is the Charles & Hilda Roddey Career Development Assistant Professor. His research program is focused on the development of nanoscale semiconductor materials for use in next-generation energy technologies. Will earned his B.S. in Chemical Engineering from the University of Delaware in 2005, his Ph.D. in Chemical Engineering from the University of Minnesota in 2010, and was a postdoc in the Research Laboratory of Electronics at MIT before joining the faculty in 2012. 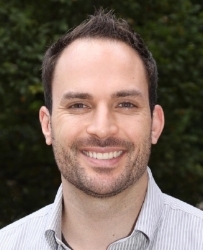 He is a recipient of the Presidential Early Career Award for Scientists and Engineers (PECASE), the DOE Early Career Award, the NSF CAREER Award, an Alfred P. Sloan Fellowship, and MIT’s Everett Moore Baker Award for Excellence in Undergraduate Teaching.